Closely related to the carrot, the parsnip is a root vegetable with a sweet, earthy taste - it is so sweet, that the parsnip was actually used as a sweetener until the 19th Century when the sugar beet came into use. 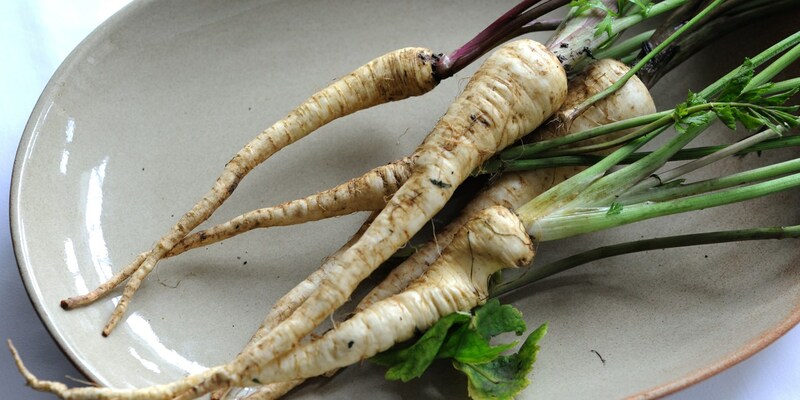 Parsnips are a good source of vitamin C and dietary fibre. Traditionally, roasted parsnips are a key part of a Christmas dinner, but there are many other ways to use this vegetable. Browse our wonderful collection of parsnip recipes, including Adam Gray's parsnip and apple soup, Galton Blackiston's roast cod with ratatouille, and Robert Thompson's breast of mallard with parsnip purée.